Successful cosmetic brand Flormar is now ready to storm the UK market – Art, Food, Travel and Fashion! 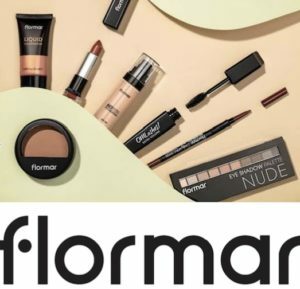 The fashion forward cosmetic brand Flormar has enjoyed success throughout Europe and is now ready to storm the UK market, with a launch into 11 Primark stores nationwide this March. Flormar welcome women into the creative world by providing them with colors and textures that will allow them to represent their style in the best manner. This colour led range is the ideal match for Primark’s youthful and trend led demographic, with the visionto become the innovative beauty brand for women, Flormar are offering a wide range of colourful, high quality products that are based on women’s expectations. By creating fashionable and reliable products Flormar are providing cosmetics that bring out both the inner and outer beauty.